Village of Five Parks is an award community built in the new urbanism model in Arvada, Colorado. 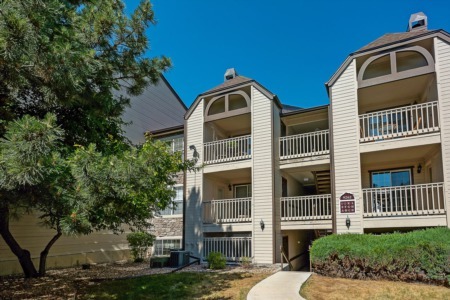 These townhouse style condominiums have modern, open floor plans with granite counters and stainless steel appliances. The location is what makes these homes special. Named Community of the Year by metro area builders three years in a row, Village of Five Parks offers convenience and sense of community, which appeals to a broad spectrum of homebuyers. Residents can walk to cafes, restaurants and even a yoga studio. A pool, clubhouse and amphitheater provide recreational and entertainment opportunities. As the name implies, parks all surround the area!